Here the common ground has to be connected to ground for the display to work. 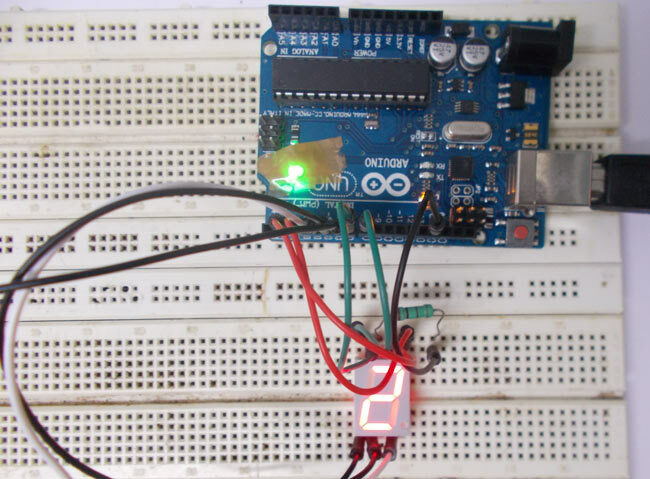 One can check each segment of display by using multimeter in diode mode. Each segment should not be power with a voltage greater than 4v, if did the display will be damaged permanently. For avoiding this a common resistor can be provider at common terminal, as shown in circuit diagram. Now, if we want to display a “0” in this display as shown in below figure.